The social media scene on the Internet has been buzzing with articles indicating that mandolinist Chris Thile will be assuming the host role on A Prairie Home Companion. Garrison Keillor has been the host since he created the program. Keillor has hinted multiple times in the past that he was considering retirement from the program. We contacted both Thile's management and A Prairie Home Companion for any confirmation but after a couple of days, we have heard nothing from either so cannot confirm this 100%. Nashville, TN -- Nashville's all-star band The Time Jumpers will appear live on public radio's "A Prairie Home Companion with Garrison Keillor." Broadcasting live from The Ryman Auditorium in Nashville, TN the show airs on this evening Saturday, May 11 from 5pm - 7pm Central Time. The show can be heard internationally via public radio, live streaming and Sirius Satellite Radio. Murray, KY -- A Prairie Home Companion with Garrison Keillor will honor the life of Bill Monroe with a special performance on Saturday, November 5th at Murray State University's CFSB Center in Murray, KY. The performance will feature an impressive lineup of Bill Monroe's Blue Grass Boys performing Monroe's music and sharing stories of life on the road with the legendary artist. 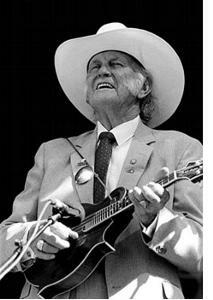 Bill Monroe and the Blue Grass Boys first appeared on the Grand Ole Opry in 1939 and soon became a popular touring band out of Nashville's WSM Studios. Over the years, Monroe's elite group of Blue Grass Boys have included many successful musicians, such as Earl Scruggs, Lester Flatt, and Del McCoury, who would eventually move on to form their own highly successful bands. St. Paul, MN -- Right out of the gate, A Prairie Home Companion's 38th season promises good times and great music — a brand-new batch of entertainment from the show that's kept millions coming back week after week for almost four decades. Murray, KY -- A Prairie Home Companion with Garrison Keillor will honor the life of Bill Monroe with a special performance on Saturday, November 5th at Murray State University's CFSB Center in Murray, KY. The performance will feature an impressive lineup of Bill Monroe's Blue Grass Boys performing Monroe's music and sharing stories of life on the road with the legendary artist.